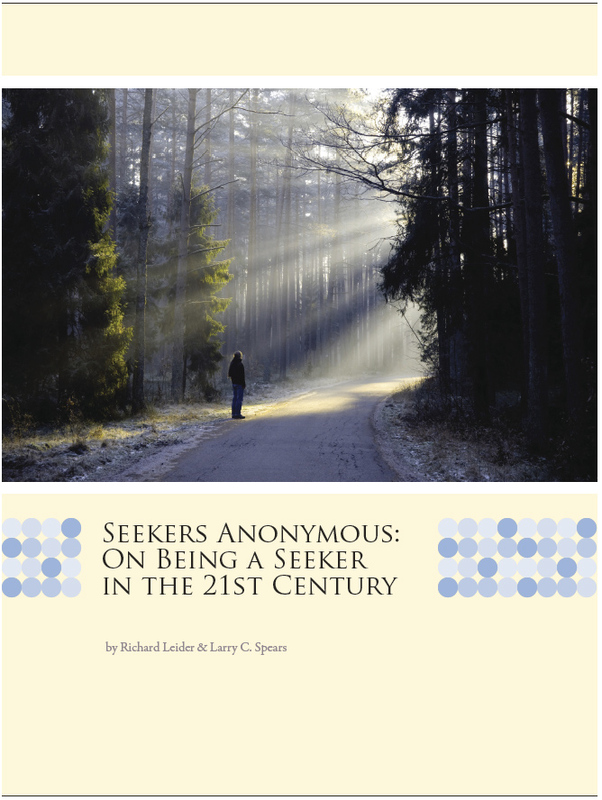 • In the 1980’s Larry was on the staff of Friends Journal, a Philadelphia-based Quaker magazine, when he first encountered Robert Greenleaf’s ideas in several articles published by Friends Journal. • In March 1990, Larry was named CEO of The Greenleaf Center and marshaled its relocation from Massachusetts to Indianapolis. • In September 1990, Larry visited with Bob Greenleaf eight days before he died. • In 1991, Larry organized a remembrance program for Bob Greenleaf, which evolved into the Greenleaf Center’s annual conference on servant-leadership. 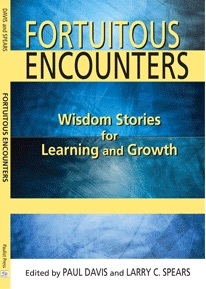 • In 1991, Larry discovered the existence of dozens of previously unknown and/or unpublished writings by Greenleaf, written over a period of nearly fifty years. 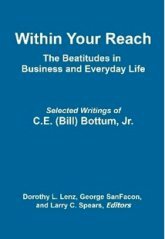 He secured support from Lilly Endowment and established a blue-ribbon committee which spent two years reading the newly discovered writings, comparing them to Greenleaf’s published work. 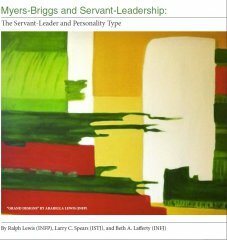 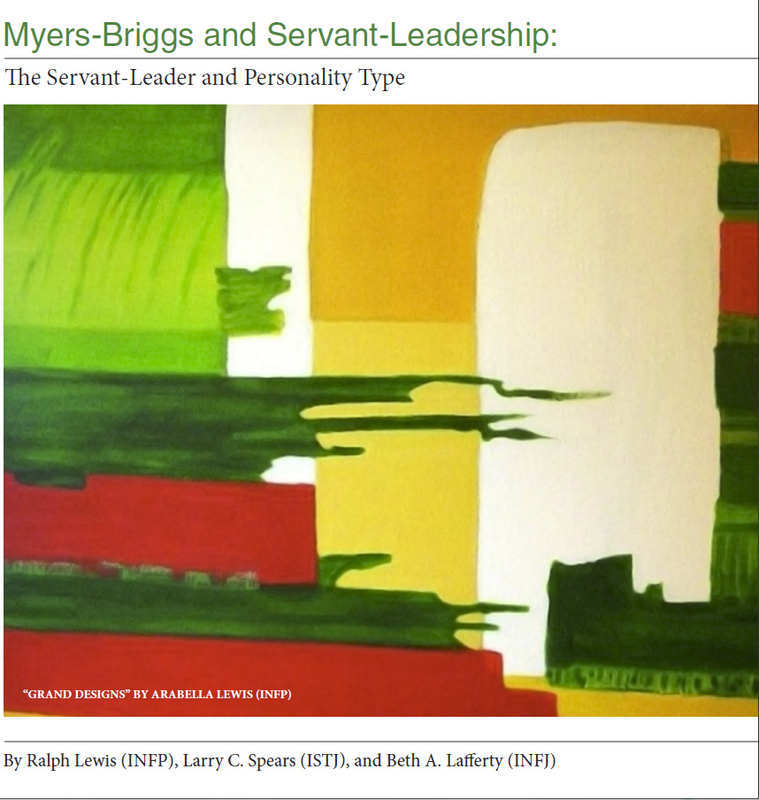 * In 1992 Larry surveyed Robert Greenleaf's writings and identified Greenleaf's ten most frequently mentioned characteristics of the effective servant-leader. 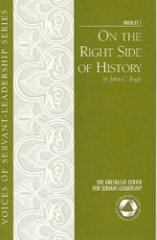 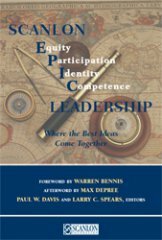 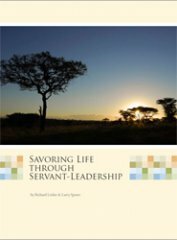 Since then Larry's own writings on servant-leadership characteristics has resulted in several hundred articles, papers, and dissertations that have been written by others. Millions have been introduced to servant-leadership through Larry's writings, and through his appearances on radio and television. 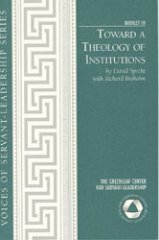 • In 1996 Berrett-Koehler published two collections of Robert Greenleaf’s unpublished writings: On Becoming a Servant-Leader (edited by Larry C. Spears and Don M. Frick), and Seeker and Servant (edited by Larry C. Spears and Anne Fraker). 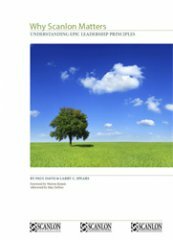 • In 1998, Larry collected and edited a series of Greenleaf’s writings previously available only as separate essay. This was published by Berrett-Koehler as The Power of Servant-Leadership. 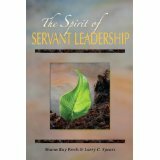 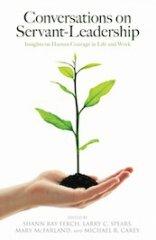 • In 2002, Larry conceived and edited the 25th anniversary edition of Greenleaf’s book, Servant Leadership. He added to it a special Introduction by Stephen Covey, and an Afterword by Peter Senge. 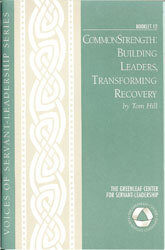 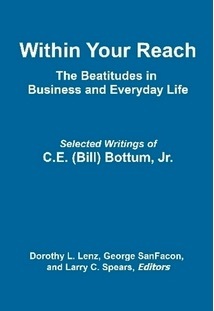 • In 2003, Larry conceived and edited (along with Hamilton Beazley and Julie Beggs) a collection of writings by Bob Greenleaf titled The Servant-Leader Within, which was published by Paulist Press. 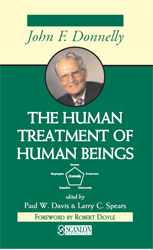 • In 2004, Larry’s appearance on NBC’s Dateline introduced ten million viewers to Robert Greenleaf and his writings. 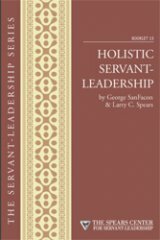 • Since 1990, Larry has published and spoken widely in his heartfelt effort to raise public awareness of Robert Greenleaf and servant-leadership practices. Following eighteen years with The Greenleaf Center, this goal remains the primary emphasis for his work at The Spears Center.